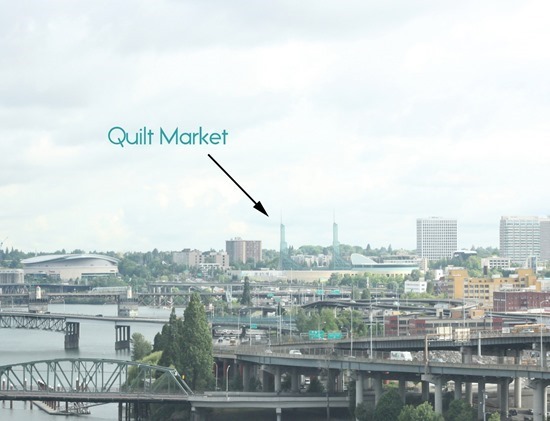 Spring Quilt Market was in Portland this year…so just a short drive down from Seattle for me. By now the set up is pretty simple….I hauled my big blue dresser down (it’s so heavy! ), hung some quilts, and we were done! My booth was in the Windham Fabrics section across from Heather Ross. I had such a great time getting to know her and she’s just as sweet as she looks…even after I told her I was big dorky fan. 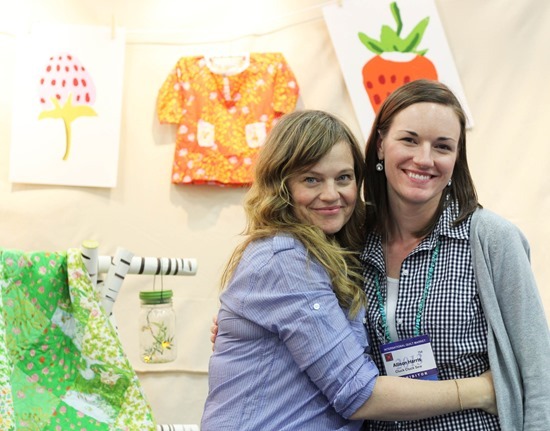 We were also there with Carrie of Such Designs…and her beautiful quilts. She is so.much.fun. Your stand looks lovely. I am excited to say I ordered your book yesterday and I can't wait to get it! Gorgeous photo's! You must be beat after such an action packed few days! Thank you for sharing all that inspiration! I had so much fun hanging out with you last weekend! Your booth was gorgeous, and I can't wait to get my hands on some of your fabric! The first thing I do when I get home is put on my stretchy pants too – lol! Thanks for the pics of the market, we don't get those fantastic booths here (Perth, Western Australia). 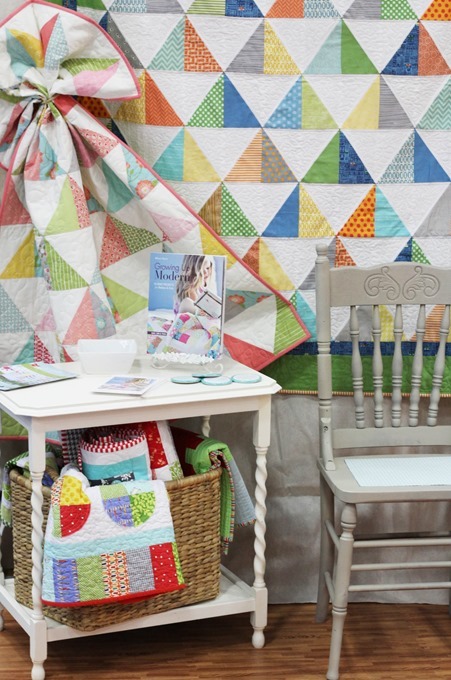 Love your booth…your quilts are sensational, thanks for sharing so many great pics of the Market! Looking good! Although I looked up Seattle to Portland and I'm not sure 2 and a half hours is a short drive- that's about how long it takes to get to Wales from here! Thanks for sharing pictures. Your booth was beautiful. Nice display of your new patterns. Took advantage of your great sale while you were gone to Quilt Market! Follower of your blog! 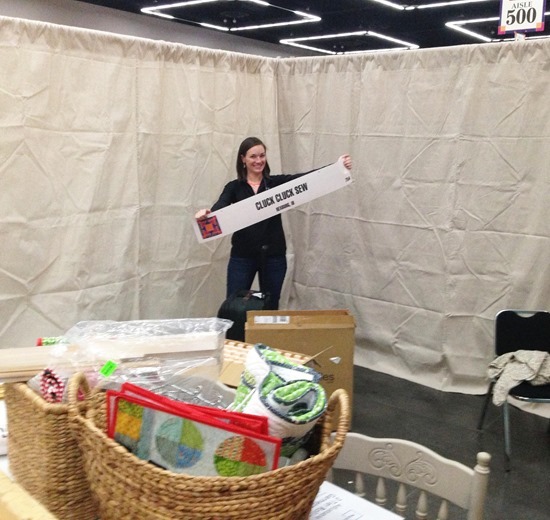 Love your booth…and I love that big blue dresser! :) I too took advantage of your sale while you were gone. I can't wait for your fabric to come out to make them! Your little one sure looked happy in that pic! :) Thanks for sharing! that's so awesome!! 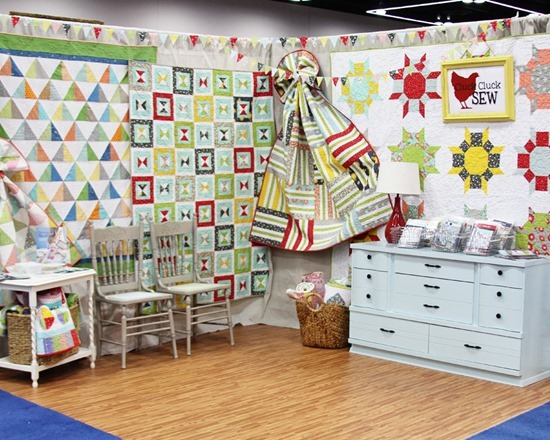 Your booth and quilts are fantastic! So happy we got to chat again. Wish we had more time. And lived closer for playdates/sewing dates! Beautiful booth, you make it sound and look so effortless. I do love your style so much! Clean and fresh but not boring in the least. Wow, wasn't that Scout in RK's linen line stunning?! Your book should be in my hands Thursday, so I'm sure looking forward to perusing it Thursday night!! Just in time for a long holiday weekend…. looks beautiful. I wish I could have been there…I live in Salem and would have LOVED to look around, but alas it was not open to me!! LOL It looked like a ton of fun! Photos are amazing – felt like I was there! And your booth is as fresh & sweet as ever. Welcome home! Your booth was darling and love your new fabric line coming up! Great seeing you again, you looked great! amazing! thanks for all the pics. I noticed your scout quilt in the linen booth as well. It looks pretty as a neutral quilt. 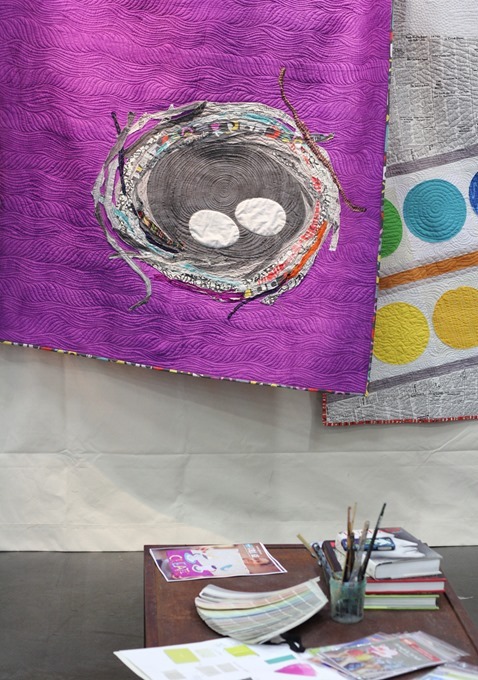 How fun to see your quilt design in other booths. Your booth was beautiful. I love the bunting. It was so nice to meet you at market, you are such a sweetie! great booth, so colourful and lovely pics. Thanks for the tour. Your booth looked great! Thanks for the mini tour. It was so great meeting you! Glad to see you on Instagram, too! Thanks for the beautiful pictures! Your booth was adorable and tasteful. And I love your new fabric line and can't wait to read your new book. Thanks for sharing it all with me, and inspiring us.